While the final schedule for the 2019 World Series of Poker in Las Vegas is yet to be finalized, we do know what to expect after the summer mega-series is completed. On Thursday, WSOP officials announced that the World Series of Poker Europe will return to King’s Resort Rozvadov for the third straight year. According to a release on WSOP.com, the series will run from October 15 through November 4th and will once again feature ten bracelet events. 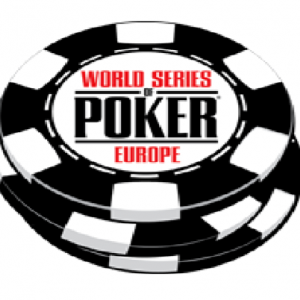 Keeping fans in the loop regarding the fall series, WSOP officials announced on Thursday that the World Series of Poker Europe will run from October 15 to November 4 at King’s Resort Rozvadov and will once again feature ten WSOP bracelet events. Last year’s series saw record crowds, with over 6,000 players coming out to Rozvadov for the series. Over €20.99 million in prize money was awarded during the series with a guarantee of €5 million that was exceeded. The only event confirmed for this year’s WSOP-E schedule if the Main Event which will run from October 25 through 30. While not confirmed, odds are that High Roller events will be held at the conclusion of the series. In 2018, the total number of WSOP bracelets awarded was 89, including the Global Championship bracelet at the conclusion of the 2017-2018 WSOP Circuit Season. This year’s WSOP will break that record. The live schedule of events for the 50th Annual World Series of Poker is already at 80, and the online events have yet to be added. Including the WSOP Europe and Global Championship bracelets, there will be at least 91 bracelets awarded this year. This is a new record for bracelets. While it is possible that the total number of bracelets awarded this year reaches 100, it would require adding quite a few online bracelet events. This is something that seems unlikely due to the legal climate surrounding the federal Wire Act. Even if the DOJ Wire Act opinion is challenged in court, it is unlikely that the WSOP will take a risk and hold interstate WSOP bracelet events. Instead, players will have to be physically in Nevada to play bracelet events. Last year, players from New Jersey and Delaware could play at WSOP.com in bracelet events. Under the new Wire Act opinion, the interstate online poker network would be illegal and it is unlikely that the WSOP will risk prosecution from the DOJ in the event that a court challenge of the new Wire Act opinion is unsuccessful. What players can look forward to is a robust schedule of events in Las Vegas and Rozvadov that will set multiple records, including the number of players attending and the number of bracelets awarded. If not for this being an off year for the Big One for One Drop, it would likely break records for prize money awarded as well. As always, we will keep you informed on any upcoming announcements regarding the schedule for the 2019 World Series of Poker and World Series of Poker Europe.